Our seventh meeting of the year is being held at the Nelson Suburban Club, Tahunanui Drive on Tuesday 27th October. Michael Riddell is speaking. He has spent 30+ years doing economic analysis and policy advice in a range of institutions, in New Zealand and overseas. Most of that time was at the Reserve Bank, where he ran a number of areas, including a spell as Head of Financial Markets, responsible for monetary policy implementation, foreign reserves management, and the analysis of financial system risks. He spent 25 years or so on the (equivalent of the) OCR Advisory Group to the Governor, and many years on the Bank’s key internal financial regulation policy committee. Michael publishes many critical articles and comments on his blog. He is always commenting on housing, its associated financing and the stated reasons the Reserve bank give for recently introduced restrictions. I personally find his comments are a refreshingly honest and creditable compared with those trotted out by media and political commentators. The meeting proper commences at 7.30 pm with the meal at 6pm. We will be eating in the Club Cafe which is cheaper but slower so attendees need to arrive at 5:45 pm. If you are coming to the meal please email Glenn by return email. The Suburban Club reserves seats on the basis of my bookings. As I write this I am relieved to have two applicants heading off to WINZ to get their bonds for two different flats of mine. One flat in The Wood has been empty since mid July. Sure I have declined a few applicants but the demand has been disturbingly slow despite new carpet and some paint work. The TradeMe advertisements this year got to 161 in June which was less than 2014 winter of 216. But summer is now on its way with vacancies dropping to 118 today. Richmond demand / supply remains as one of the countries hot spots for rentals. As the choice of rentals drops in the city applicants will become less picky and prices will do what they will do. Some upward price movement is occurring at last in the sales market evidenced with a 6% drop of listings over just a month. Nelson actually has less percentage of its properties for sale than Auckland so it is reasonable to expect something to happen with prices. Meanwhile in Canterbury the number of rental listings has levelled off at 2000 but their for sale listings have climbed 5% over a month. It is fairly obvious what is happening there. Nelson rental market is influenced by the Canterbury market so it is important for investors to keep their eye on national trends. The Government is gently pulling a number of levers and pressing a few buttons. It is a matter of opinion if their music is pleasant to listen to. Some pro provincial immigration rules have been announced. Central bank LVR rules aimed at Auckland but perhaps intended to help Wellington are going to create waves in Nelson. The Indian student immigration wave is gathering momentum, and the international tourism market is pouring a few dollars our way. So I have a good feeling about the Nelson market. Sure I have been wrong more than once in predicting another boom. Surely I cannot be wrong all the time. MORE BENEFITS FOR CARD HOLDING FINANCIAL MEMBERS OF NELSON PROPERTY INVESTORS ASSOCIATION. Simply show your current NZPIF membership card and automatically receive discount on your purchase. Metro Direct has agreed to supply members of PIAs affiliated with NZPIF with an automatic minimum discount of 15% on purchases. In addition the labour content of any work Metro Direct, or its associates, does for members will automatically be charged at the trade rate. Click through to their website and see the wonderful possibilities of glass. Do not forget ANZ are offering 0.25% discount on new mortgages to members who show their card. The Bunnings discount to card holders is proving very popular. A new insurance package is being trialled. I have found the Toshiba heat pump deal is as good as they claim. The credit checking systems on TINZ for NZPIF is great and easy. In this issue we visit the current topical issue of the housing market and provide our comments on metrics in the upper end residential market, first home buyer market and sections in the new build market. Recent sales activity shows buoyancy at the top end of the market at present. Premium home sales in Nelson have been quite subdued since 2008 but activity picked up slowly but surely since 2013. 2015 has seen 26 sales settle above $800,000 since January. Overall the level of activity is what would be expected but the key difference is the lack of listings. This does seem to be translating into upward pressure on prices. A number of million dollar properties, which have sat on the market for up to a couple of years, have recently sold at strong price levels. A selection of top end sales follows below. 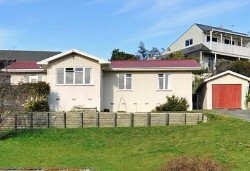 A shortage of supply of houses for purchase is not something that is unique to Auckland. 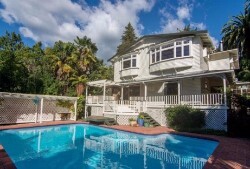 The number of listings at the bottom end of the market is also thin in Nelson City. Uncertainty in the economy in general may well be an explanation for homeowners deciding to sit on their hands, rather than move house unless it’s absolutely necessary. Listings are now at low levels, however sales volumes are the highest they have been since 2012. Agents report multiple offer situations becoming more commonplace, as first home buyers aim to get a step onto the property ladder at a time of historically low mortgage rates. A selection of first home buyer market sales follows below. There has been a steady supply of new houses being brought into the market, primarily in Richmond, but also in Marsden Valley. Uptake of the Marsden Valley subdivisions in particular got off to a slow start a couple of years ago, but demand has firmed which has in turn seen section prices rebound and settle around the $225,000 mark. These sites are still on average $10,000 to $20,000 cheaper than comparable sites in Richmond reflecting the relative proximity to amenities and schooling. The Daelyn on Saxton and Concordia subdivisions in Richmond have been well received in the market. Sections in those subdivisions have averaged $246,000 and $268,000 respectively. Sections in the Trek Subdivision in south Richmond are also selling well at around $230,000. Demand for new builds has spread further afield to Brightwater, where the average section price has crept up to $190,000 - $210,000. 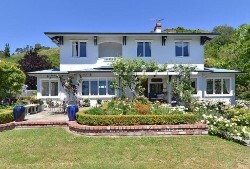 In general terms, the market in Nelson was stagnant for a prolonged period from 2007 through to 2013, however things started picking up in Richmond a lot earlier. The graph below reveals that on average, the median sale price in Richmond has grown 22% since 2008, whilst the median in Nelson is on average up 15% on 2008 levels. Nelson has always attracted, and will continue to attract out of town purchasers who look to move to the region as a lifestyle choice. This is nothing new. Despite murmurings in the media, there does not appear to be a flood of Auckland buyers in the market but agents have reported they are starting to turn up at open homes. The reality is that the demand for housing is closely linked to the employment market, and those currently living in our largest city who may have historical ties to Nelson, or the South Island generally, are those most likely to wager a move. The latest employment statistics show that while Auckland had the strongest regional employment growth in the country in the year to June 2015, with 29,600 new jobs, the Nelson/Marlborough/West Coast and Tasman regions combined lost 300 jobs. The sticking point has always been the need to either have job portability or a job to come to in order to migrate south. Portability will be enhanced with the new regional airline players now confirmed to service Nelson, raising the prospect of increased demand for our housing market. This five bedroom family home had been listed for sale at various times since 2012 and sold quickly when re-listed in April 2015. 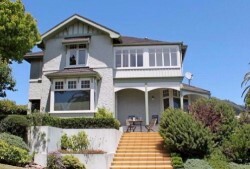 This five bedroom family home previously sold in February 2014 for $1,240,000. 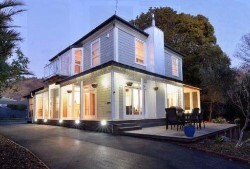 A 4.7% gain in less than twelve months with no alterations to the property. This fully upgraded and immaculately presented character home sold within three weeks of being listed. 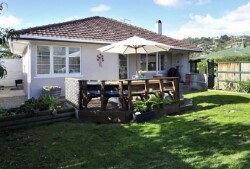 This 1950’s two bedroom bungalow sold for $292,000 in May 2013. The most recent sale shows a 6.6% increase in two years. 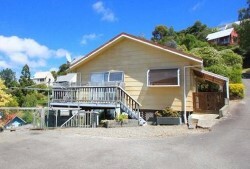 This 1950’s three bedroom house with detached garage last sold in June 2006 for $300,000. Unaltered condition between sales. 10% increase since 2006. This 1980’s three bedroom home with off street parking only last sold in August 2006 for $216,000. Since that time the bathroom has been modernised. 13% increase with minor work between sales.